Five years ago, WRAP (Waste & Resources Action Programme) set up the Courtauld Commitment; a voluntary agreement for finding solutions to the problems of food waste and excess packaging. Design out packaging waste growth. Reduce food waste by 155,000 tonnes per year. Reduce the total amount of packaging waste over the same period. According to WRAP, the UK’s grocery sector has prevented 1.2 million tonnes of food and packaging waste entering the household waste stream over the last five years; the value of which is estimated at £1.8 billion. This amount of waste would fill 128,000 standard refuse trucks, which would stretch from Truro to Inverness. Put another way, the CO2 equivalent emissions avoided amount to around 3.3 million tonnes; the same as half a million around-the-world flights. Due to a 6.4 per cent increase in grocery sales volumes since the agreement began and participating retailers taking a greater proportion of the market for beer and wine; the third target was not achieved. 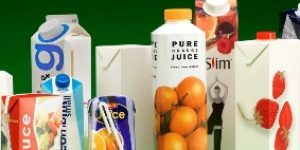 Total packaging has consistently remained at approximately 2.9 million tonnes between 2006 and 2009. However, across the range of groceries we buy, packaging has reduced by around 4% for each product. This is through using concentrated products and new lightweight packaging. Examples of food and packaging waste reductions can be found with the wrap report. WRAP are particularly pleased with the food waste reduction which is way beyond their original target. One of the things we keep saying on myzerowaste is that we need to ditch the ‘us and them’ approach. It’s time for us all to work together, because if we do, we can achieve great things as this fantastic achievement shows. WRAPs vision is a world without waste where resources are used sustainably. When we do our presentations we remind people that rubbish is simply a resource in the wrong place. Many of you get frustrated with the amount of packaging you buy and have to dispose of; Which goes to show we all share the same common goal! The next phase of the Courtauld Commitment looks further into food and packaging waste from manufacture to households. Sounds like a job for Mrs Green! To see WRAP director of Design and Resource minimisation, Richard Swannell, give an overview of the Courtauld Commitment, click on the video below. Mrs Green’s remarkable fridge invention Does the future of food lie in your fridge?